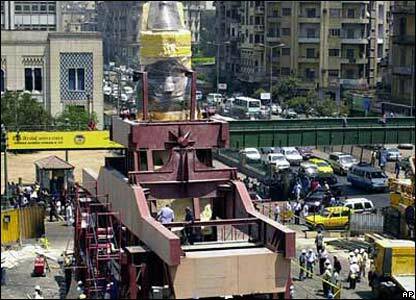 A giant statue of King Ramses II has been moved to a new location free from the pollution and vibrations it has suffered during 50 years standing outside Cairo's main railway station. 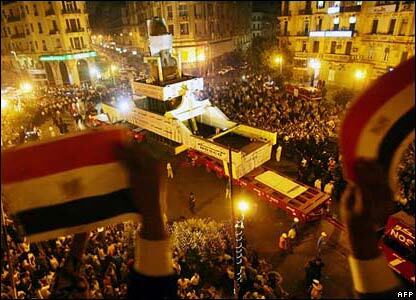 The statue, which originated in Memphis, had been in Ramses Square since the 1950s. 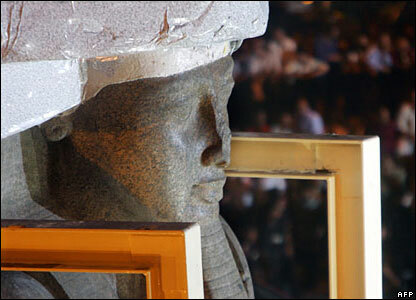 King Ramses II was born in 1302 BC and became pharaoh in his early 20s. It was feared that lying the 83 tonne, 11m (36 feet) high statue on a lorry would destroy it, so engineers decided to move it standing up in an enclosed steel cage. 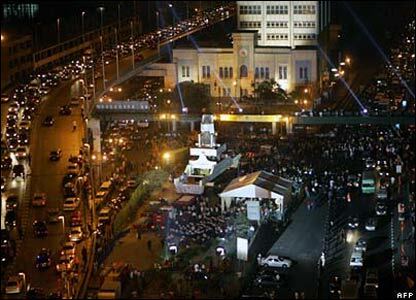 Despite the early start at 0100 local time, tens of thousands of people lined the streets for the event, which was broadcast live on Egyptian television. Ebullient residents lined the streets to watch the red granite statue move through the city at a slow and stately pace. 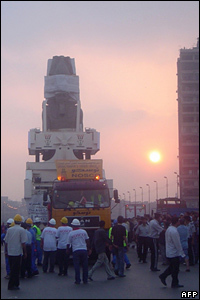 It took 10 hours to move the royal statue 2km. 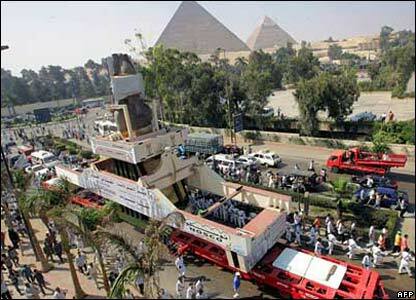 The authorities had rehearsed the journey with a replica in July this year. 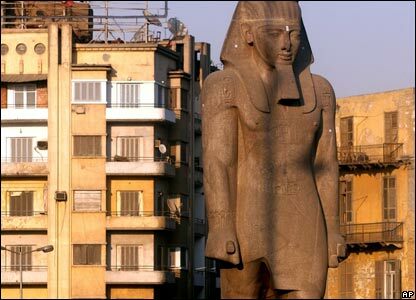 Ramses, a prolific builder of monuments in his lifetime, will find a new home in an Egyptian antiquities museum to be constructed near the pyramids in the next five years.